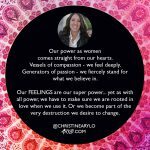 We lead crazy paced lives in part because we have made the unconscious choice to allow the rhythm of our life to be dictated by the pace the patriarchy and over culture has set – keeping us frenzied, fragmented and not focused on what truly matters. 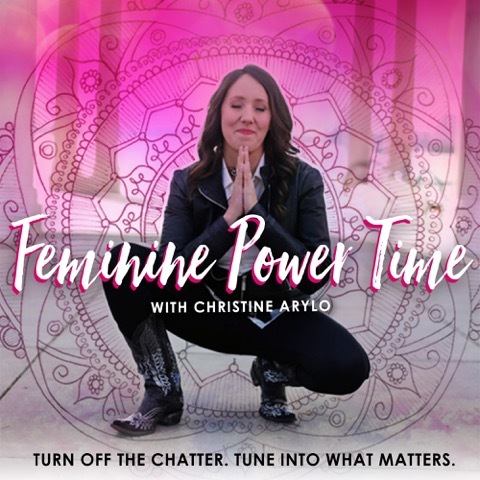 Feminine wisdom shows us how to be in the world without being run by the world, by taking the powerful act to consciously set the patterns and rhythms of days, weeks, months and years in a way that creates harmony, not havoc. 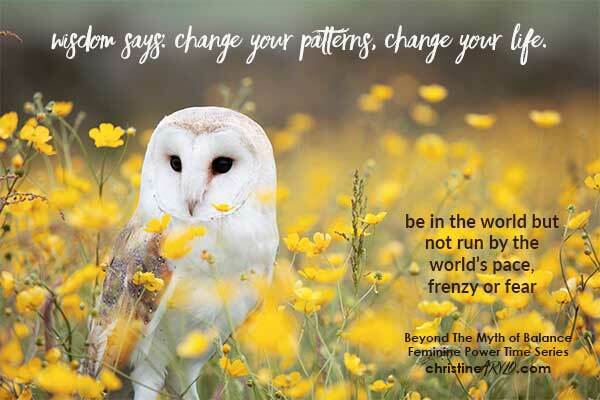 Change your patterns, change your life. Be in the world but not run by the world’s pace, frenzy or fear. Use the player on top to listen from this page. Download from ITUNES + Subscribe to your Podcast Feed . 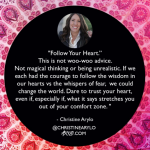 Join Christine for her yearly mid-year power pause retreats – F.L.O.W. Focus Your Life Force on What Matters – attend live from home or come to one of the in person retreats on the East Coast. Error: Error validating access token: Session has expired on Friday, 19-Apr-19 12:24:14 PDT. The current time is Wednesday, 24-Apr-19 08:51:14 PDT.